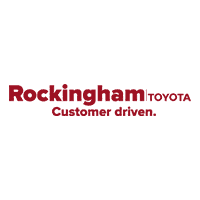 Whether you own a Toyota Corolla in Haverhill or you are thinking about purchasing a new Toyota RAV4 in Salem, you’ll want to make sure you keep it in great condition with routine preventive maintenance at your local Rockingham Toyota service center. Take a look at our overview of recommended scheduled maintenance, but be sure to consult your individual Toyota model owner’s manual for more details. Then schedule a service appointment with us when it’s time to take your vehicle in! Whether you need regular maintenance or tire replacement in Methuen or major repairs in Windham, Rockingham Toyota can help. Be sure to check our service specials so you can save on your next visit!